A transplant from New York to Colorado and a graduate of Columbia University, Samantha has been in theater her entire life. She has worked as an actor, stagehand, lighting designer, and stage manager all over the county. In 2005 she directed 2 plays put up at Manhattan’s Theater Studio Inc., Punchline and Did Ya See The Masked Man? In 2011 she directed Flaming of the Shrew at The Betsy Stage and in 2012 she directed Juliet & Romeo: The Panopticon. She is thrilled to be working with the wonderful women at The Betsy and hand-in-hand with The Bard again! Jerkin spent many of her weekends as a child traveling with the Westchester Children’s Players, a theater company in which her mother acted. The troupe traveled the underserved neighborhoods of New York City and the boroughs where they performed in the local schools for free. Her grandmother wrote the play A Worm in Horseradish, which was first performed by the Jewish Repertory Theater. Jerkin is the author and illustrator of a recently published children’s book Ma’s Garden and has had more than two decades of experience in freelance visual display and design; working for many textile showrooms and department stores throughout New York City such as Neiman Marcus, Bergdorf Goodman’s and Lord n’ Taylor. She is thrilled to be involved in theater once gain and finds it very much like coming home. Kim started her musical career at a young age studying theater, voice, and piano at Sam Houston State University and performing for Houston’s Theatre Under the Stars. After obtaining her audio engineering degree, she moved to Boulder, CO where she began her decade long tenure performing nationally and internationally with Cabaret Diosa wth whom she starred in over 200 performances a year. As a percussionist, keyboardist, singer, and improv artist, Franco shared the stage with James Brown, Santana, Dr. John, and Harry Belafonte at festivals such as The New Orleans Jazz Festival and the High Sierra Music Festival. She is the co-author and producer of the original musical Ciao Eden!, co-author of Flaming of the Shrew, Juliet & Romeo: The Panopticon, and she continues to write and produce plays and musical revues. Jennifer McCray - Stage Manager/Light Op. Jennifer has been working in theater, music, and video productions for over 17 years in Denver. She has help the positions of Stage Manager as well as sound operator, actor, camera operator, assistant director, producer, and assistant coordinator. She has worked for The Denver Center for the Performing Arts, The Comedy Works, The Bluebird Theatre, Rocky Mountain PBS, Master Mind Productions, Tir Na nOg (an Irish theater), The Avenue Theatre, and the Jefferson Symphony spring concerts. She is thrilled to be able to add The Betsy Stage to that list and would like to thank her husband and daughter for their never-ending love and support. Rob graduated from Loretto Heights College with a theater degree. He has worked as a lighting designer for Paramount Theatre, Galleria Theater, The Botanic Gardens, State of the Arts Dance, Littleton Dance Ballet, and the Jenny Schiff Dance Collective. 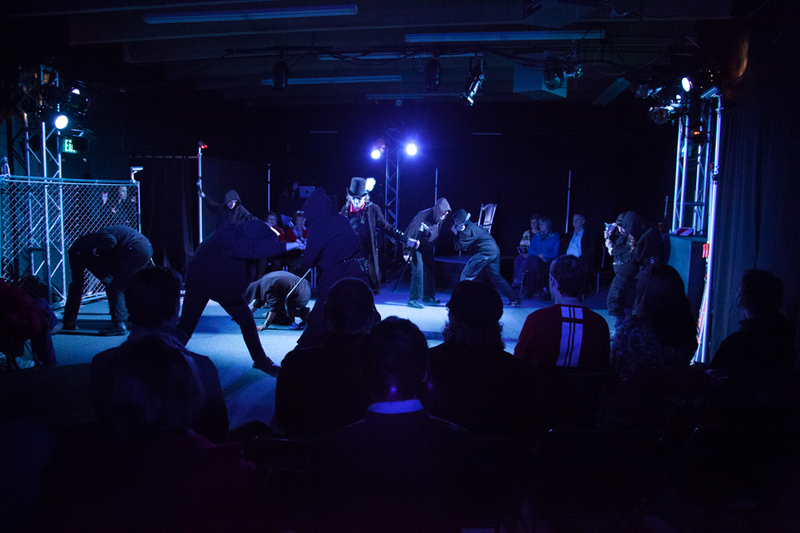 He was honored to light Flaming of the Shrew in 2011 and Juliet and Romeo: The Panopticon in 2012 at The Betsy Stage. Bill has been working in the entertainment industry since 1978 where he started as a drummer playing 5 nights a week in clubs. In 1981 he was introduced to the theater building and painting flats in the Wilton County Playhouse in Wilton, CT. In 1994 Bill was hired as Project Coordinator for Tomcat USA in Midland, TX, building stage, lighting, and support system for such projects as Ringling Brothers, Disney on Ice, Pink Floyd, U2, and the world’s largest roof system in Tenerife, Canary Islands. In 2000 Bill owned and operated a sound and light production company, where he also designed and installed sound, light, and video systems in LoDo clubs. Bill is now a grandpa, and was laying low until rediscovered by Samantha at Lucky 20 in 2011.